Dr. Seymour received her B.A. in Religious Studies from the University of North Carolina at Charlotte, her M.A. in Humanities and Women’s Studies from Old Dominion University in Norfolk, Virginia, and her Ph.D. in English Language and Literature from the University of Tulsa in Tulsa, Oklahoma. Her dissertation focuses on the uncanny as home in contemporary women writers Doris Lessing, Toni Morrison, Keri Humle, and Sheri Reynolds. Prior to coming to Newberry College, Dr. Seymour taught at Old Dominion University, Paul D. Camp Community College, the University of Tulsa, and Lenoir-Rhyne University. 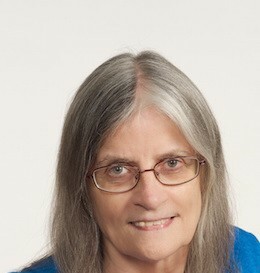 She is co-editor of Conversations with Nadine Gordimer published by the University Press of Mississippi. She lives in Newberry with her husband David, a Lutheran pastor. In her free time, Dr. Seymour enjoys attending concerts, exploring museums, and searching thrift stores and yard sales in her pursuit of more books.